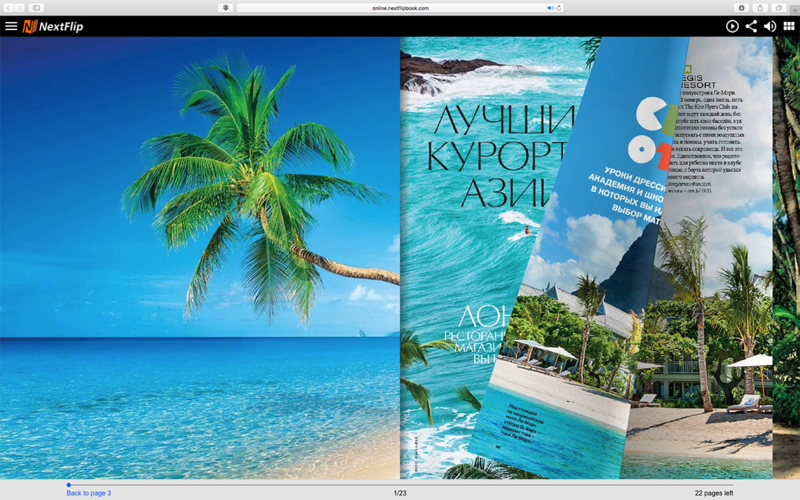 Next HTML5 Flip Book Maker is professional HTML5 flipbook software that allows you to easily create interactive HTML5 flipbook from static PDF/images with realistic page turning or slide effect. 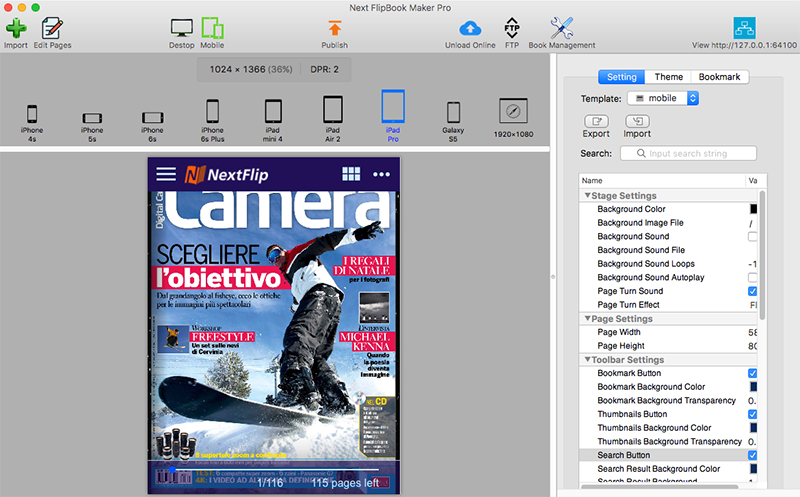 Next FlipBook Maker is an easy to use yet powerful HTML5 flipbook software for Mac/Windows that allows you to easily convert static PDF documents/images to digital HTML5 flipbooks to view on any desktop, laptop, tablets and smartphones. HTML5 Flipbook software Pro version lets you convert PDF to interactive HTML5 flipbook. You can add local video, YouTube video, music, images, GIF, button, chart, and hyperlinks to any HTML5 flipbook page. 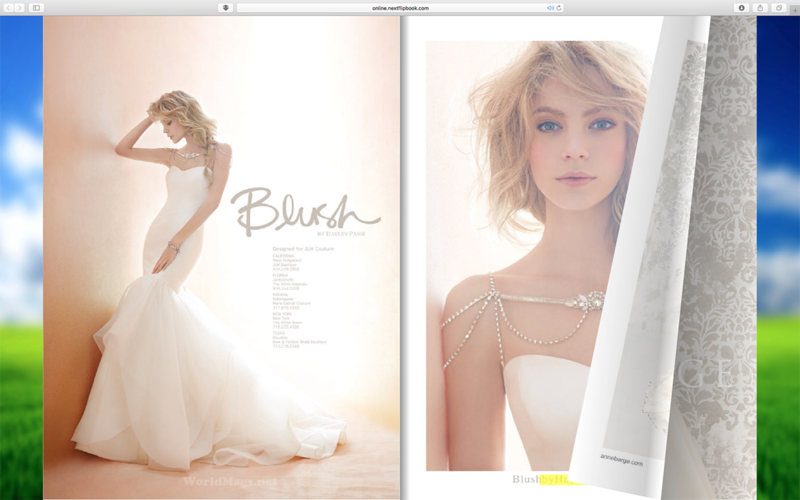 HTML5 flipbook software provides customizable flipbook settings and styles. You can add logo, background music, background image, etc. as you like. Customize flipbook appearance, edit flipbook toolbar button, or edit flipbook bookmarks. Original bookmarks and hyperlinks from PDF documents can be preserved. 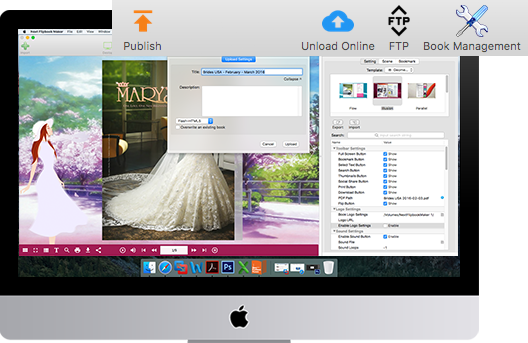 Publish flipbook in .html format to view offline or upload to own server. Publish HTML5 flipbook as ZIP to email. Upload HTML5 flipbook to Nextflipbook Cloud. Upload HTML5 flipbook to your own website with the built-in FTP. Publish HTML5 flipbook as WordPress plugin, Joomla and Drupal module. Embed HTML5 flipbook to any webpage with given embed code. Online HTML5 flipbooks can be accessed from any Mac, PC, iPhone, iPad and Android devices. 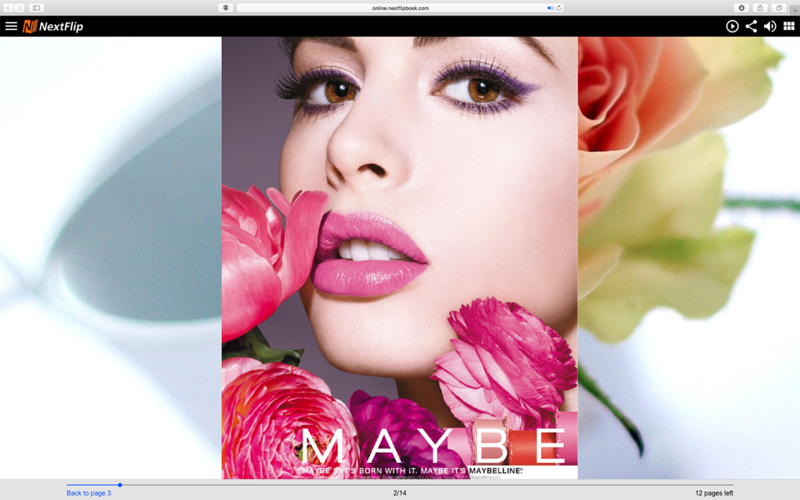 Responsive Design Mode allows you to preview your HTML5 flipbook on iPad, iPhone and Android before publishing.